Last weekend was a nonstop, fun-filled few days. 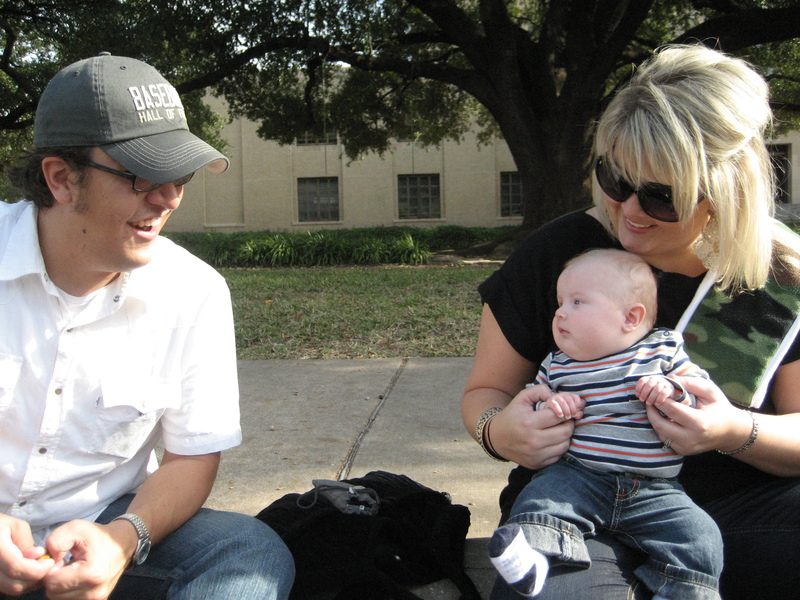 It all started when we made plans to meet up with our good friends Melissa and John in Waco so they could meet Brooks. Since we love Waco so much, we decided that we needed to make more than a day trip out of it. We got there Friday around lunchtime and began our weekend hitting up a few of our favorite spots to eat (Vitek’s gutpack for Matt and Food for Thought for me.) We headed over to eat at Mallory’s so she could get some quality time with Brooks. He loved all the fun things there were to see at her house. When we left Mal’s we headed over to Truett Seminary and showed Brooks where we got married. Then we headed upstairs and introduced Brooks to Teresa Muirhead, a good friend from Hubbard, and to Dr. Cook(who is Matt’s best friend Graham’s dad as well as an incredible mentor to Matt.) He was a big hit for everyone at Truett! After that we headed on over to Graham and Storey’s for the night. Brooks and Cambell got to bond a little better than last time they met. Cambell was even saying Brooks’ name before we left on Saturday morning! The two even had a little pajama party. We always enjoy getting to spend time with the Cooks! 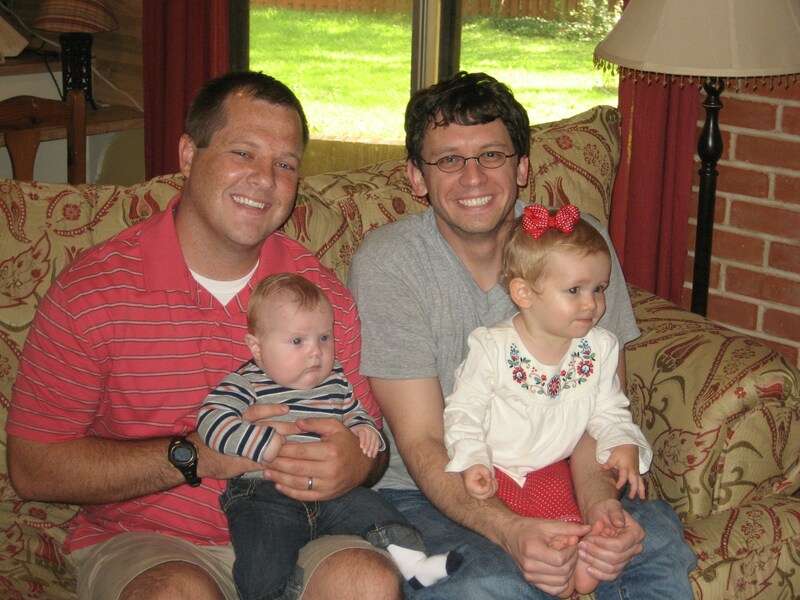 Here are the kiddos with their daddies! 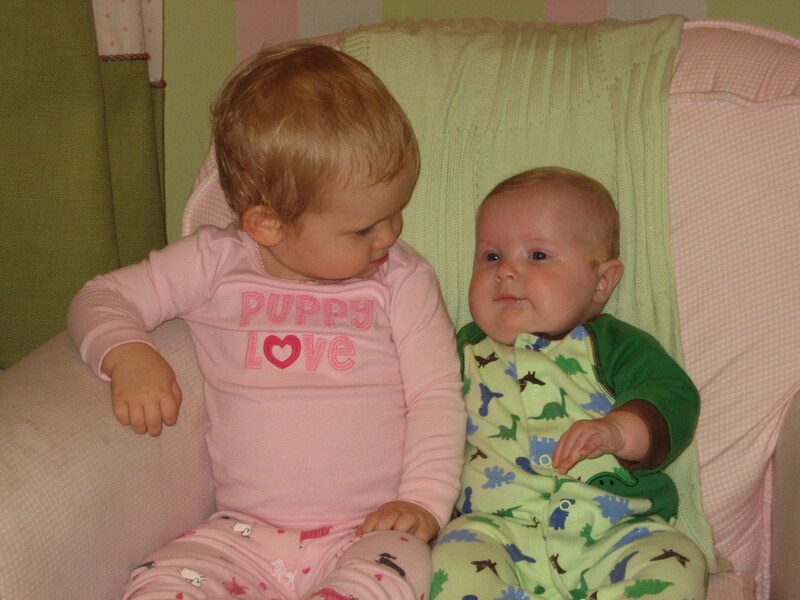 Brooks and Cambell were much more interested in the Backyardigan’s on the TV than they were smiling for the camera. When we left the Cook casa it was time to head to our designated meeting spot with Melissa and John….NINFA’S!!! If you’re not familiar with Waco, Ninfa’s is a fantastic Mexican food place downtown. It was a favorite during our Baylor years! We didn’t have our camera when we were in Ninfa’s, but Brooks LOVED it. There are neon lights everywhere that were fascinating to him, not to mention his newfound love for the Vittas’s. After stuffing ourselves, we headed over to Baylor’s campus to show Brooks (and John) around our old stomping grounds. 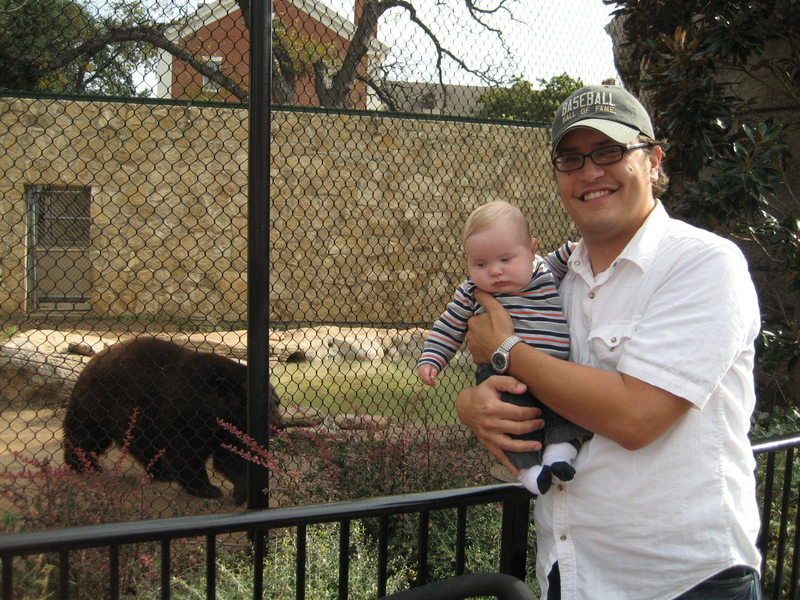 It was a special time as Brooks and John got to meet the Baylor Bear for this first time together! 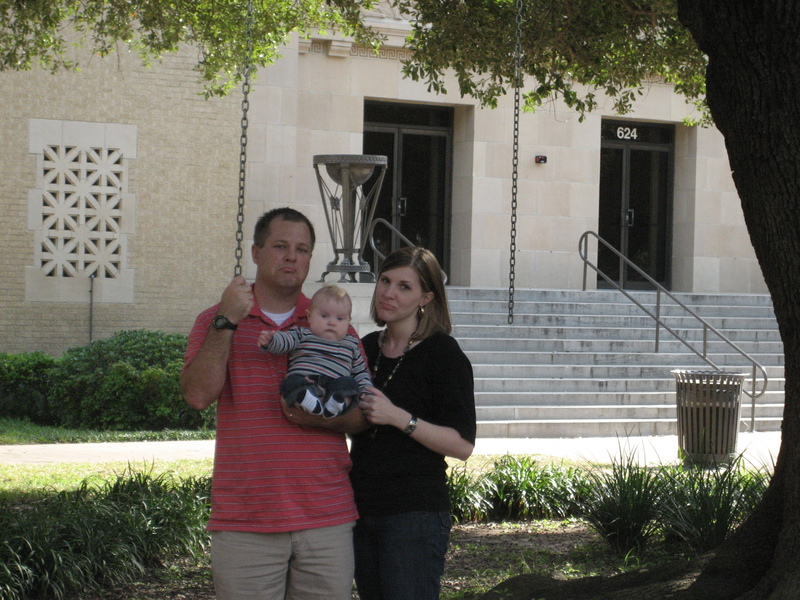 We were really excited to show Brooks the swing where Matt and I got engaged in front of Waco Hall, but sadly when we got to the spot, the swing was gone. We’re not really sure why it wasn’t there. All the other swings were still in their spots. All that was left were the chains that used to hold our swing. We were pretty disappointed. John and Mel had some good bonding time with the little one. It was a good first visit to Baylor, probably the first of many for the little man. 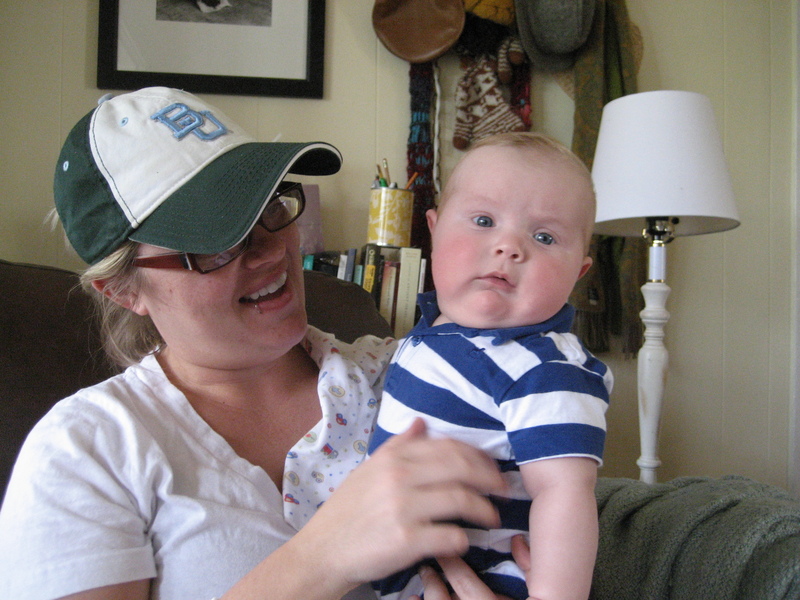 Maybe next time he’ll show a little more enthusiasm in all the pictures we take of him! 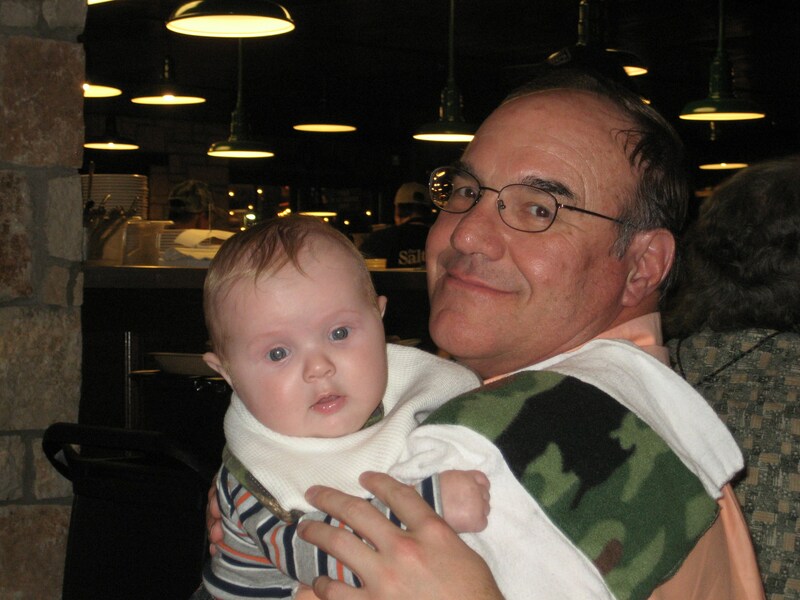 Saturday also happened to be my Dad’s 60th birthday so we headed to Round Rock to have dinner at the Salt Lick with my family to celebrate. Pop really wanted to take Brooks on a Ferris Wheel that was near the restaurant, but we had to decline. We really needed to head home after our long two days. This was a pretty busy weekend for us, but it wasn’t over yet! Sunday morning Brooks and I hopped in the car to head to Kenedy for a shower to celebrate Brooks’ new cousin, Samantha Lynn. We had a great time seeing all the Homeyer family and Brooks and I did pretty well on our first solo trip. He was a trooper and slept really well MOST of the time we were in the car. 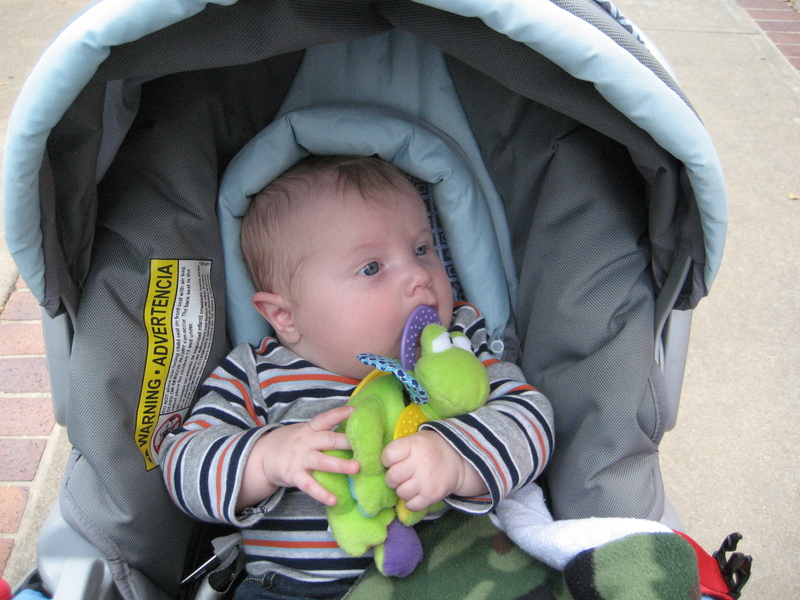 He even got an early Christmas present from GJ and Bebob…a new exersaucer! I put it together Monday and it’s awesome!!! Brooks loves it! It was a fantastic weekend, but we’re not too sad that we have no big plans this weekend! We’re going to do a lot of relaxing at HOME! 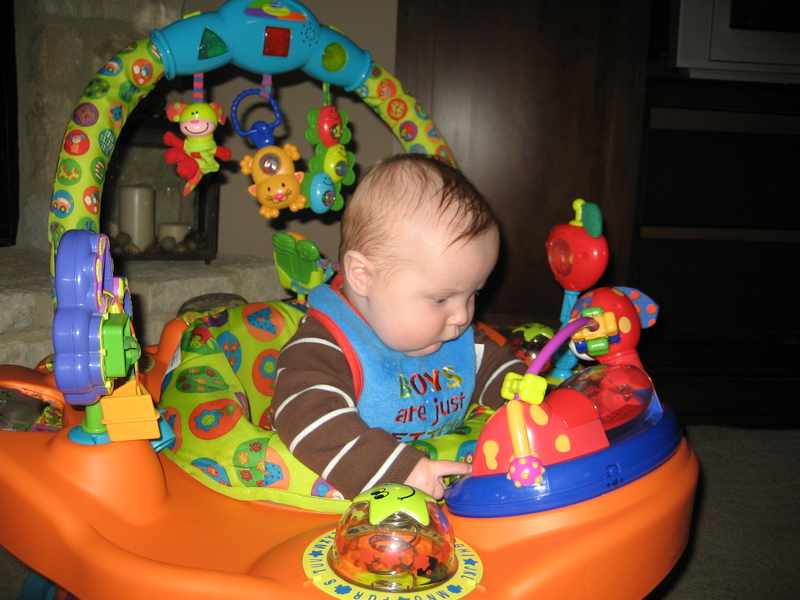 Look how intent and smart he looks playing in his exersaucer! That child is a genius.